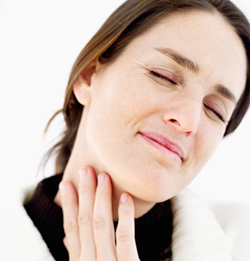 A sore throat could be a sign that you’ve exhausted your immune system. A sore throat is a small thing. It could be a sign that you’ve exhausted your immune system. An upset stomach is a small thing. It may be a symptom of producing too much (or too little) stomach acid. Or eating foods that you know aren’t going to “agree” with you. Back pain is a small thing. It might be how your body reminds you that change is needed. A change in the way you move or think. Or perhaps a change in how you deal with stress. Vertebral Subluxation is a big thing. When your brain loses touch with part of your body and can’t regulate it, that’s big. Impaired nerve communication is a big problem. Even if the symptom you notice is small, the fact that your brain’s communications to your body are getting misdirected is a serious issue. An adjustment is a big thing. 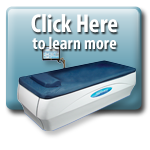 A precisely applied energy that helps restore nervous system integrity is big. Really big. Knowing where and how to apply this energy takes a big commitment of education, expertise and experience. Chiropractic is a BIG thing. Maybe one of the biggest secrets in health care! After all, it can restore nervous system function, which is what controls every other aspect of your body’s ability to function. Chiropractic has faced big opposition by those who don’t understand it, and by those who would like to keep it a secret, like the mainstream medical community. You could play a big role by sharing your experience with others. That would be a big help!